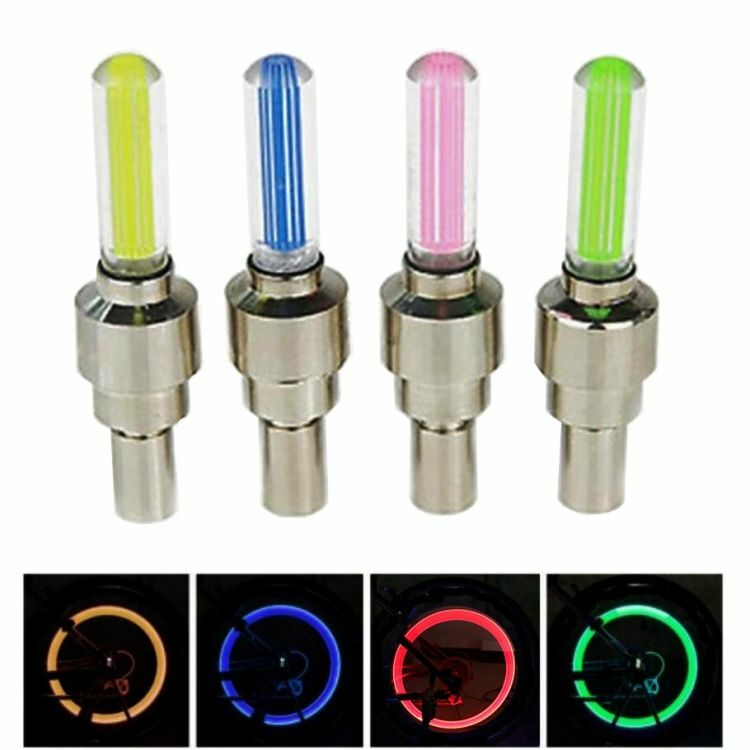 Our LED Wheel Valve Lights will get you noticed! Look cooler than your friends when you drive around with illuminated lights. These lights are PERFECT for both car wheels and bike tires. They are super easy to install, too. Impress everyone who sees your glowing wheels! Cool decoration for bikes or cars. Extremely easy installation! No special tools required! Can easily be removed! Compatible with valve stem which is up to English standard or American standard. Simply screw onto the tire valve stem and installation is complete! Light glows blue, green or pink, but LED base light is blue.